GPS Systems on Teenage Drivers Vehicles - VIP Autos | Hemet | CA. I don't mean to be the overbearing father of a teenage Driver, however, I did some research on possibly installing a GPS System on their vehicles. Fact: Research has shown that teenagers don’t drive safely for fear of crashing, but rather for fear of getting a ticket. Researchers said that teenagers have a sense of immortality and the “it can’t happen to me” syndrome. As your teen’s responsibilities increase, like the privilege to drive a motor vehicle, your anxiety levels can skyrocket and for good reason. Some psychologist will say, installing a GPS monitoring device in your teens vehicle show a total lack of trust on the parents part. Would it be better for your teenager to get a speeding ticket on their own accord and deal with it? as many would suggest. Or, would it be better for you as a parent to take a pro-active approach to your teen’s behavior and modify it through open communication? 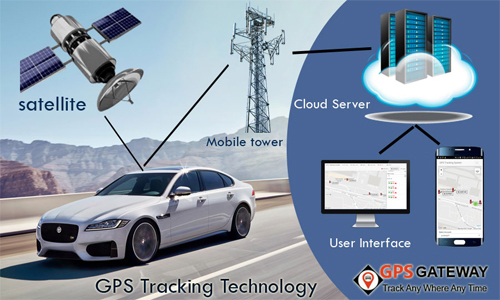 We say, “Trust-But-Verify”, a GPS vehicle monitoring system will act as a powerful deterrent for any negative behavior. Furthermore, we believe that explaining to your teenager that a GPS vehicle system in their vehicle, is implemented out of love and not mistrust. You want your teenager to live to their 21st Birthday…You also want the trust that exists between yourself and your teen to expand. Having a GPS vehicle monitoring system believe it or not, will empower you and your teen to build a stronger foundation of trust. What about a cell phone with GPS installed in it, isn’t that the same thing? Actually, it is not. A hardwired GPS vehicle monitoring device, like the two listed below are permanently installed. They generally cannot be removed or turned off, like a cell phone. More importantly, these GPS vehicle monitoring devices are connected directly to your car’s battery, so they operate when your car operates. Equally important is the safety and security of your teenager. A vehicle installed with a GPS monitoring device, will allow you to locate your vehicle’s position if the situation ever arose. Make Sure Your Teen Is Well Rested Before They Drive – Studies Show Fatigue As A Contributing Factor In Teen Related Accidents. Ban The Use Of Cell Phones While Driving – They Are Distracting And Dangerous To A Teen Driver. Do Not Let Teens Drive With Other Teens – Statistics Show, 2 Or More Teens In A Vehicle Have A 86% Chance Of Being Involved In A Traffic Fatality. Do Not Let Your Teen Drive At Night! Studies Show Nighttime Is The Riskiest Time For A Teen To Drive. Of course every Kid is different, so let us know what you think and be safe.